When the credit cards (I mean parents) are in town, it's time to indulge. When the weekend comes around, you probably head to restaurants that take Bear Bucks – the basic betch’s Pastaria, beloved brunch place Winslow’s, the study spot Kayaks. After all, college students are all about saving money. But when your parents come to town, it’s time to splurge. 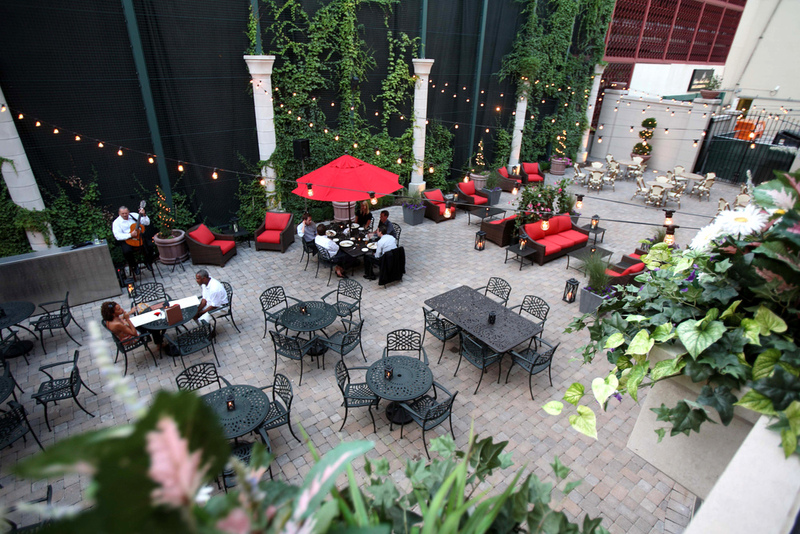 Take them to one of these 10 restaurants, or all of them… we won’t judge. 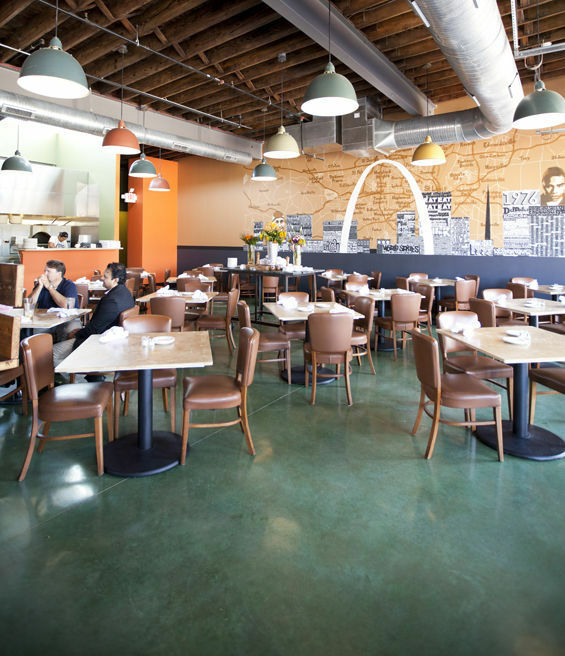 OpenTable consistently ranks 5 Bistro as one of the best restaurants in the St. Louis, so it must be doing something right. This cozy restaurant located in the Hill gets their food only from neighboring farms and changes the menu daily. Trust us, your parents will be impressed. Get the tasting menu and end the night clutching your stomach, so full you can hardly move. You won’t regret it. We’re willing to bet you’ve been to Pastaria and gorged yourself on the risotto balls and Cacio e Pepe. But have you been to Pastaria’s sister restaurant, Brassiere by Niche? If you haven’t, parents weekend is the perfect excuse to try it. They’ll ooh and ah over the cheese plate and chicken au jus. As you finish your meal off with an elegant chocolate mousse you’ll be glad you chose this gorgeous, red-walled restaurant in the Central West End. Bon appétit. Basso is a blink-and-you’ll-miss-it kind of restaurant—it’s in the basement of the Cheshire hotel on Clayton Road, barely visible from the road. The restaurant’s phenomenal take on authentic Italian cuisine is surely worth going off the beaten path. Any one of their pastas and pizzas is divine, but the Donald—a mushroom pizza with fontina, truffle and a duck egg—is truly an otherworldly experience. Tavolo V is way down the Loop, all the way by Moonrise, but it’s well worth the trek. You can show your parents around one of the top 10 greatest streets in America (at least that’s what all the tour guides say) and then unwind with the greatest pizza ever and some crispy calamari. Tavolo V also has a tremendous wine bar—perfect for the parents. This is a restaurant people rave about on Yelp. Seriously. With 206 reviews it still has four and a half stars. That’s a good sign. Farmhaus is located in Lindenwood Park, a place that people call unpretentious but sophisticated, pricey but bang-for-your-buck, local and fresh but incredibly creative. 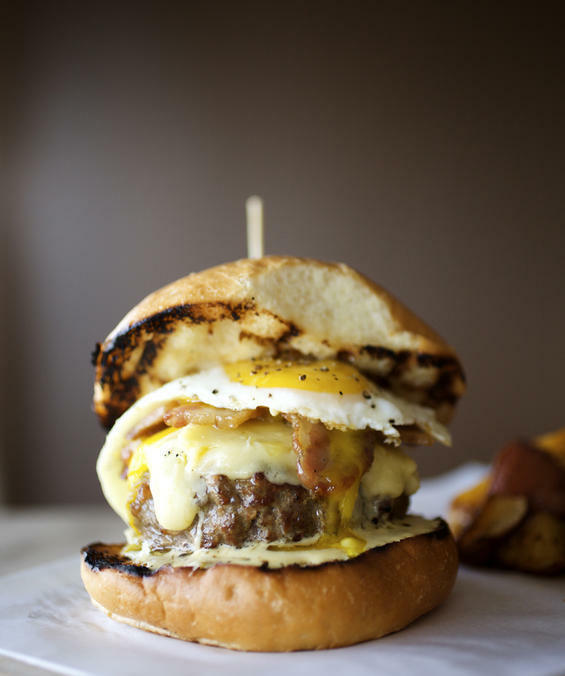 Everything at Farmhaus is locally sourced and mouthwateringly delicious. Maybe you’ve been to 360 Bar on a wild Saturday night, but you probably didn’t know that their food is pretty incredible. This is an amazing choice for parents weekend, especially if you go this Saturday when the Cards game will be in full throttle. Watch your parents get excited over the aerial views of our glorious city and indulge in one of their small plates for dinner (we recommend the crispy Baja fish tacos) and their delicious warm beignets for dessert. You’ve probably been to The Tavern with your suitemates and instagrammed the half-baked chocolate chip cookie, which is a masterpiece no doubt. But we can pretty much guarantee you haven’t done The Tavern right. Go with your parents and get one of the cuts of meat (salmon or beef or chicken) in one of their very special styles, which you’ve definitely shied away from before because your student budget doesn’t cover the cost. Go crazy and enjoy it. 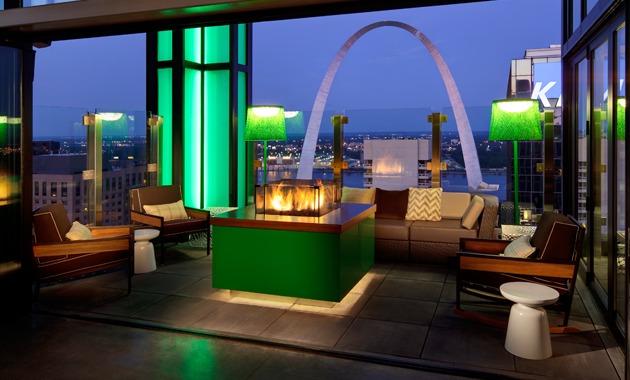 This restaurant also has the best ambiance in St. Louis, so we give it an A plus. Scape is very accurately named—it’s an escape from the culinary monotony of Bear’s Den and the Village, and it’s the most delicious escape ever. It’s tucked in the cozy Central West End and looks absolutely gorgeous inside and out. Be sure to order the oven roasted artichoke and rib eye steak because they will blow your mind. Scape specializes in the simple and the classic, and it does it well. Herbie Vintage 72 opened 1972, but once you get inside it feels very contemporary and very, very cool. 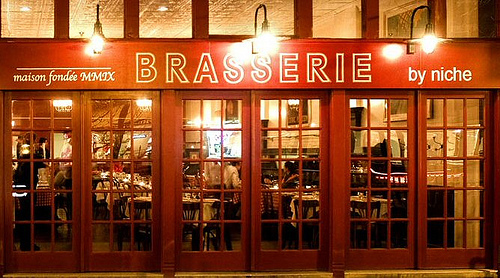 This is very classy dining, and your parents will be impressed by the perfectly executed flatbreads and steak frites. 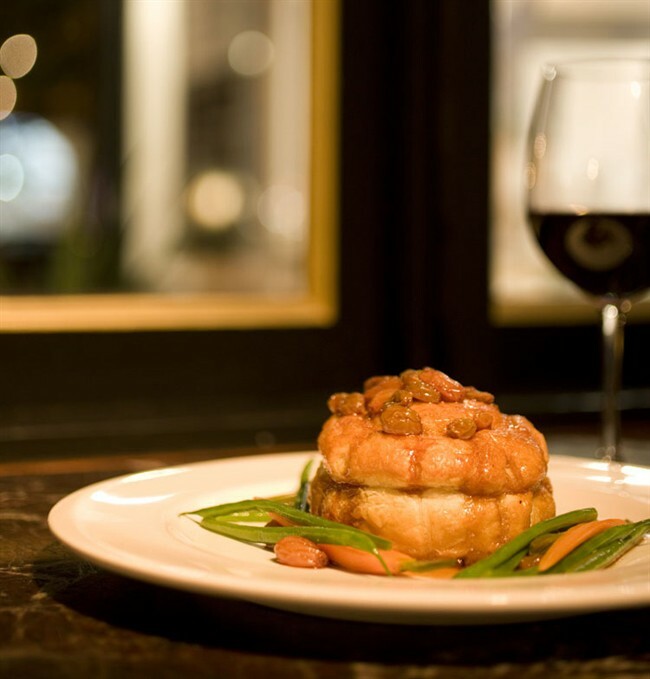 Home Wine Kitchen was named the best restaurant in St. Louis by St. Louis Magazine in 2012, so you know it’s good. This is the most creative restaurant ever. For a truly unique experience go on No Menu Mondays—you just answer five questions, and the chef will create a three-course meal. This is for the truly adventurous, but it’s the best adventure you’ll ever take.